Stapler With 1000 Staples 2Asst. 26 l 6 Size Staples. 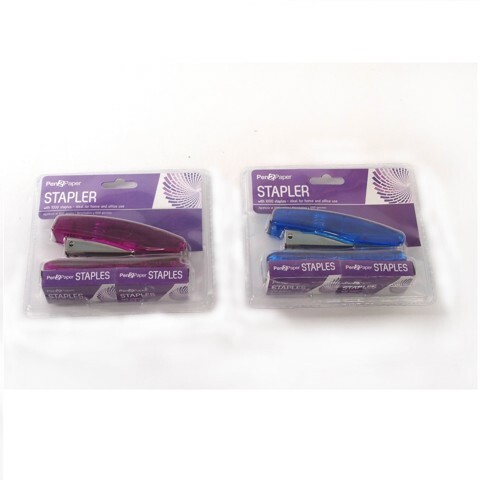 Blue And Pink - 2 Assorted Clear Colour Staplers. PP Plastic. 0 Packaging: Double Blister Card.